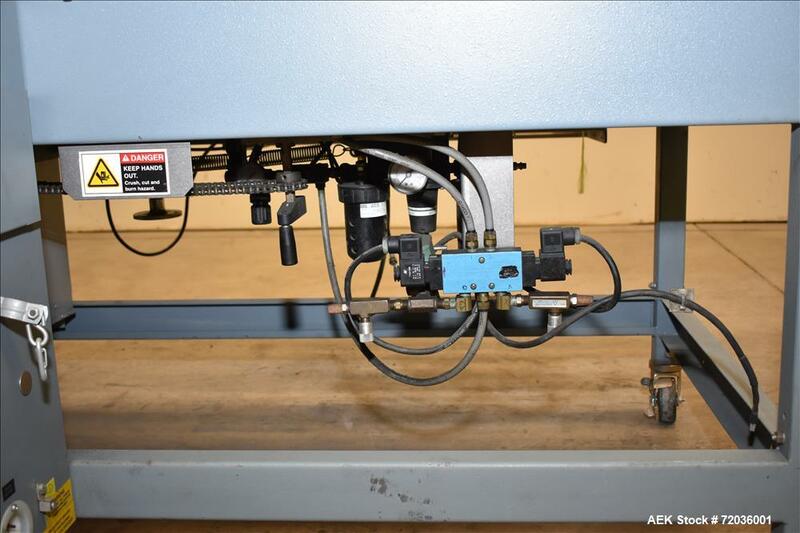 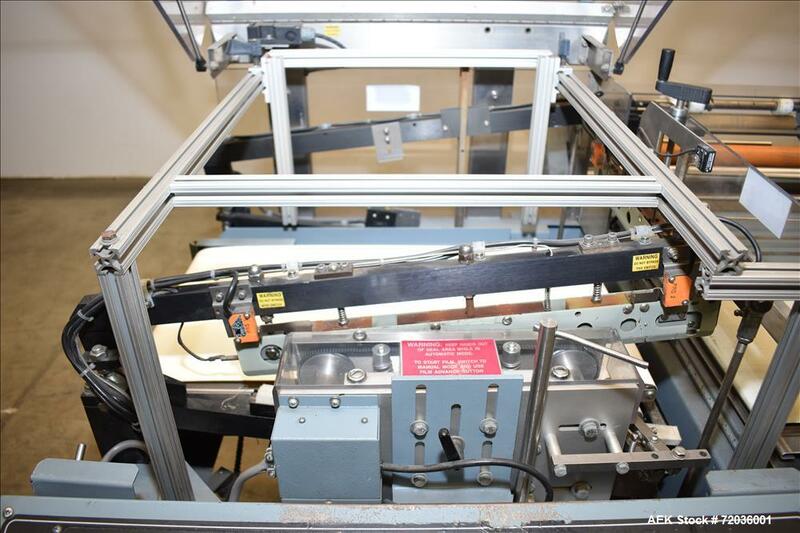 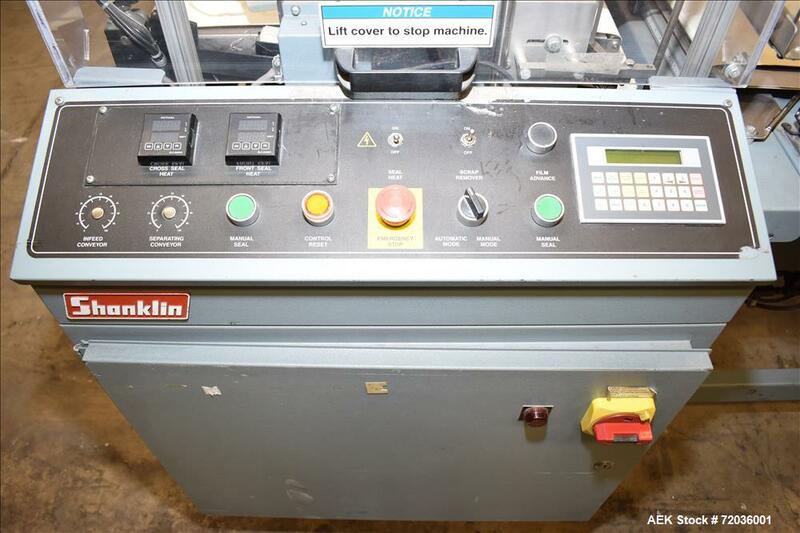 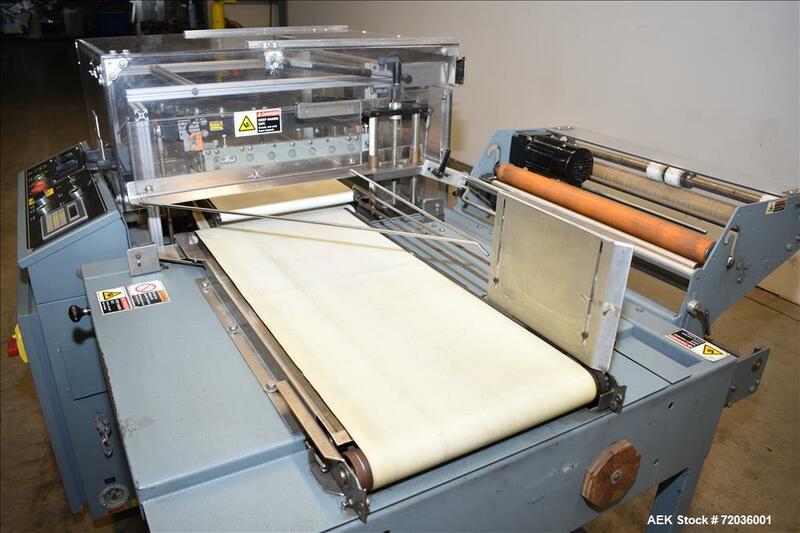 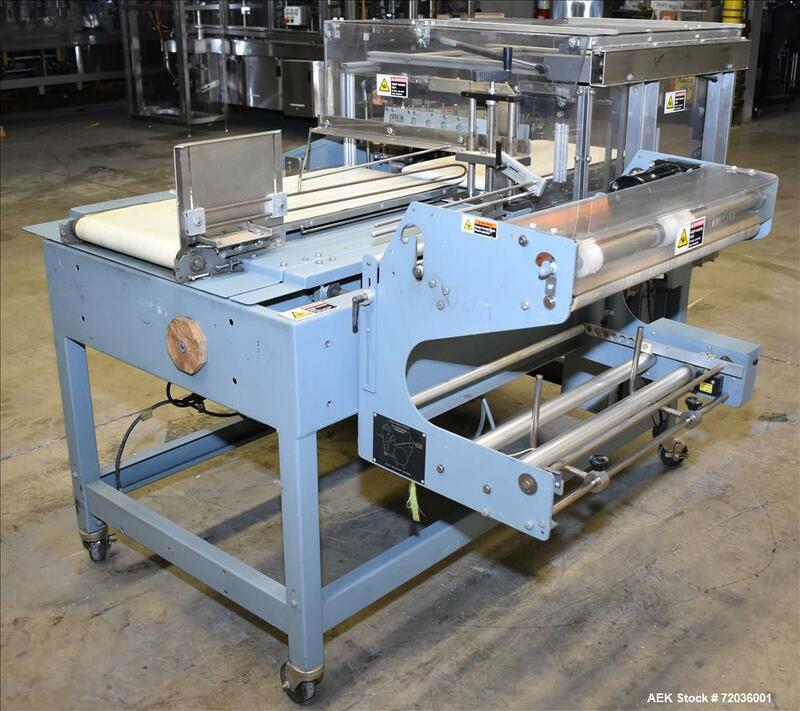 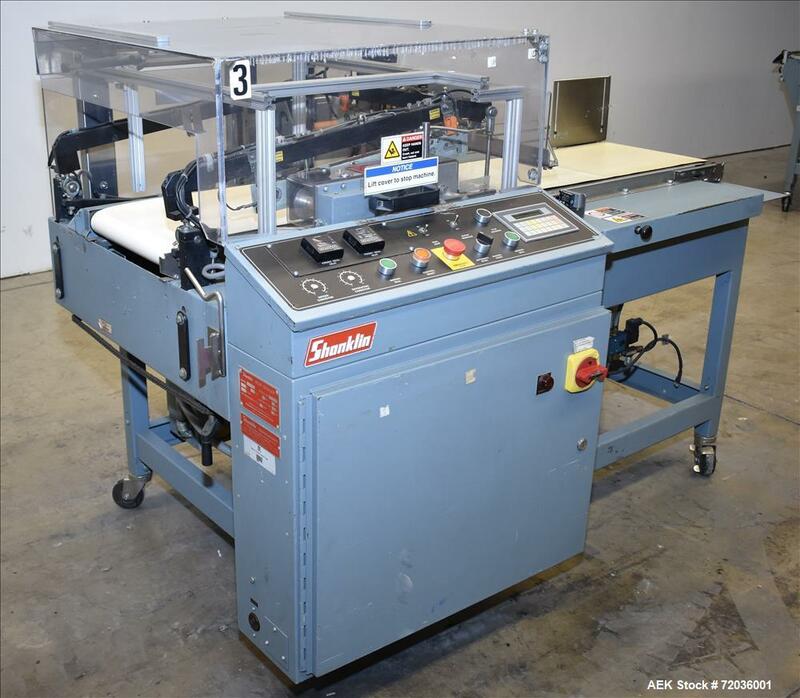 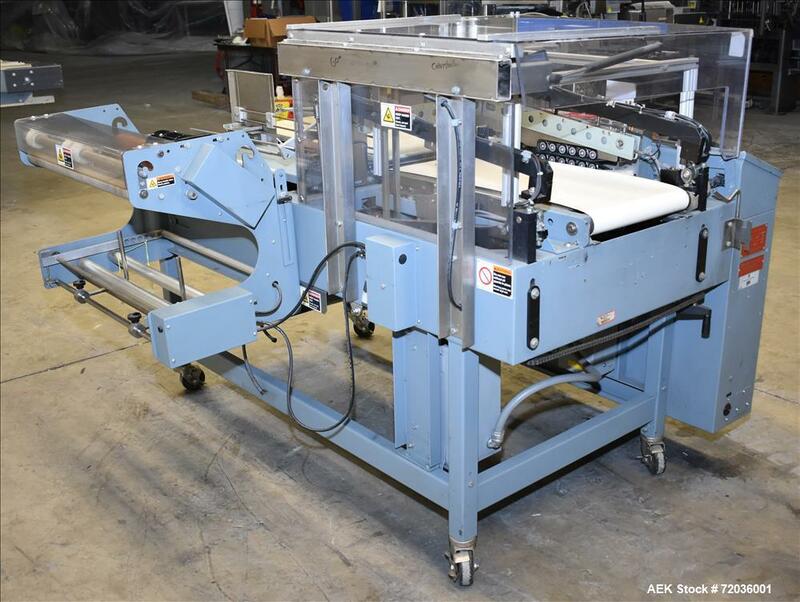 Used- Shanklin Automatic L-Bar Sealer, Model A26A. 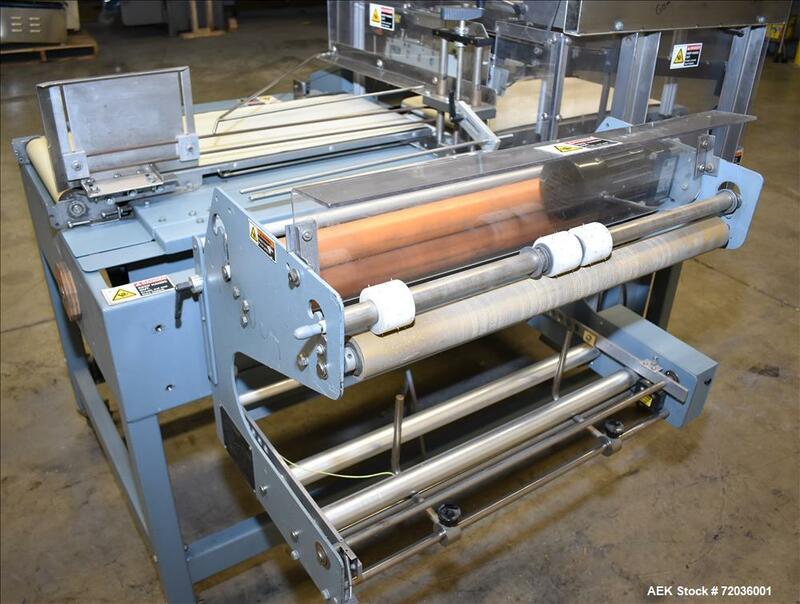 Capable of speeds up to 35 packages per minute. 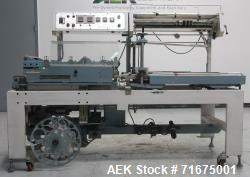 Has a maximum 26" web width and a maximum seal area of 22" long x 18" wide. 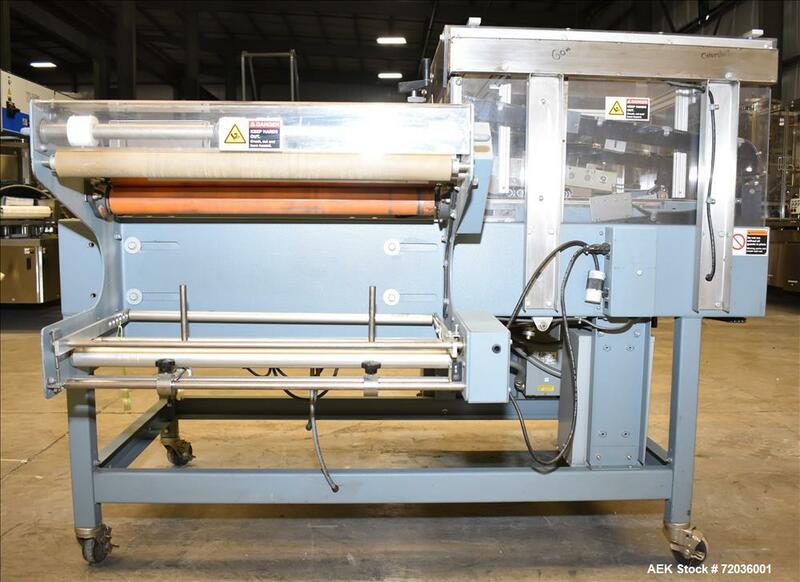 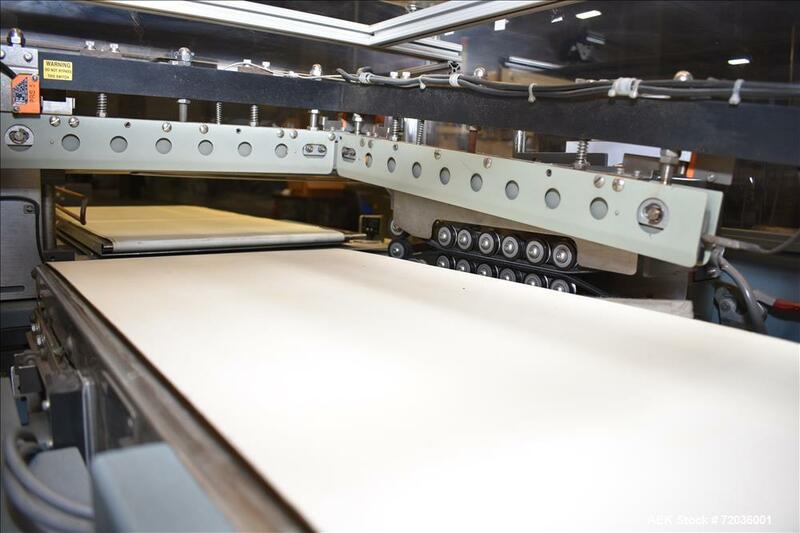 Has a 32" long x 14" wide belted infeed. 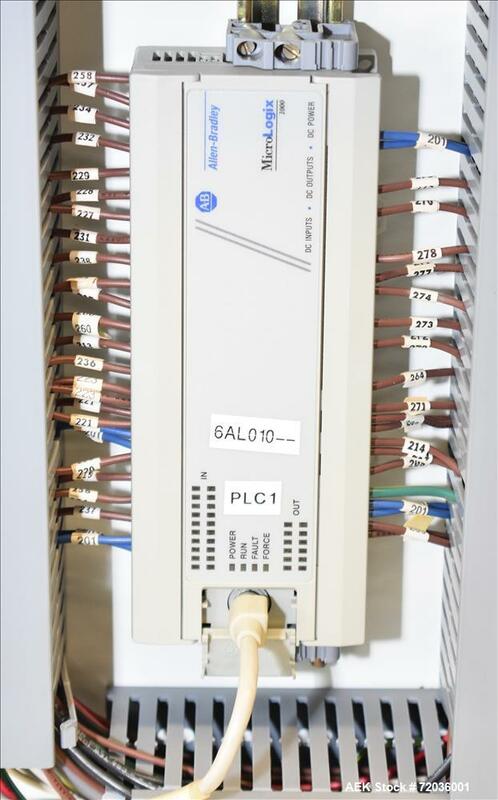 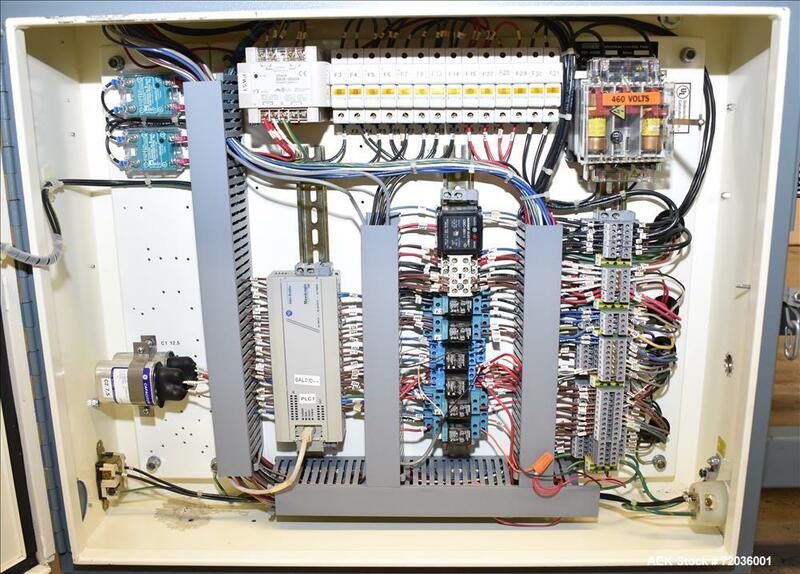 Allen Bradley MicroLogix 1000 PLC, with variable speed, heat and well controls. 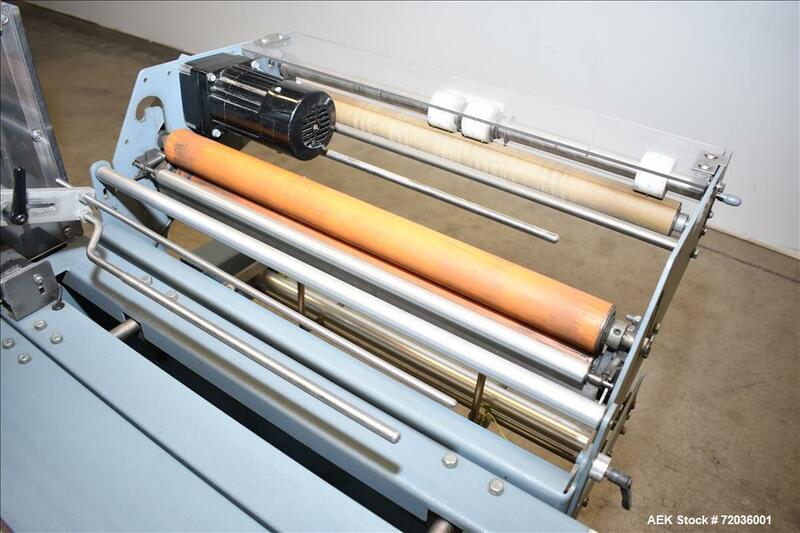 Does not include selvage rewinder. 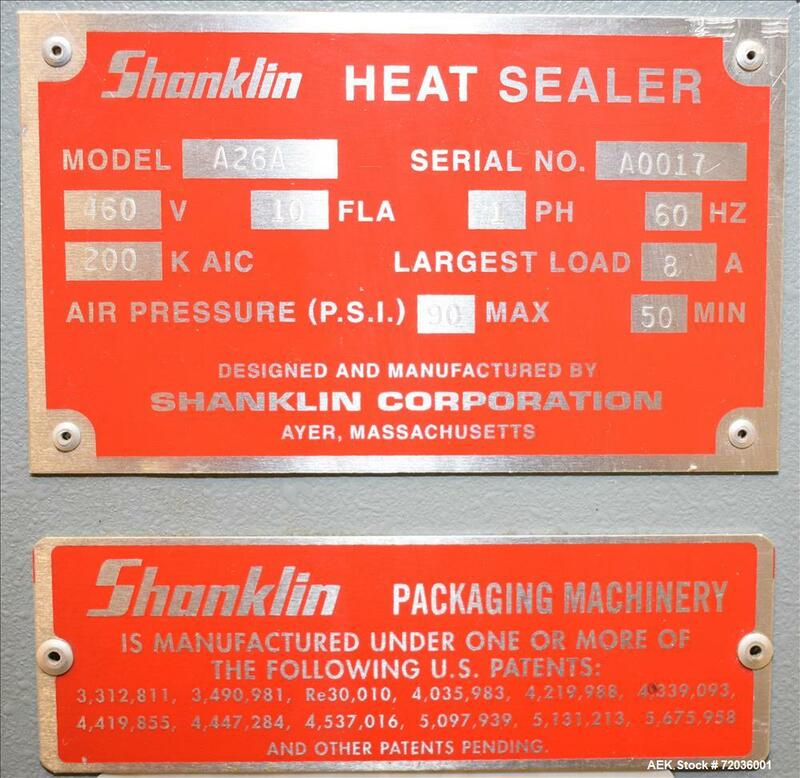 1/60/460V. 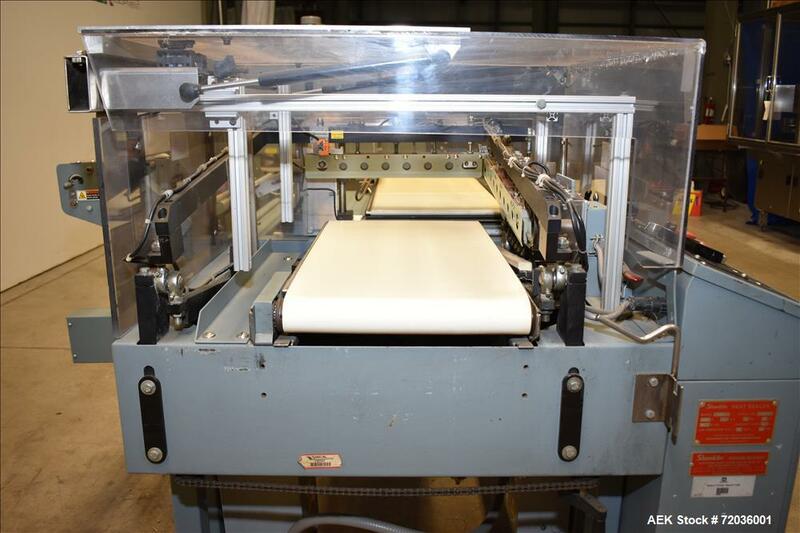 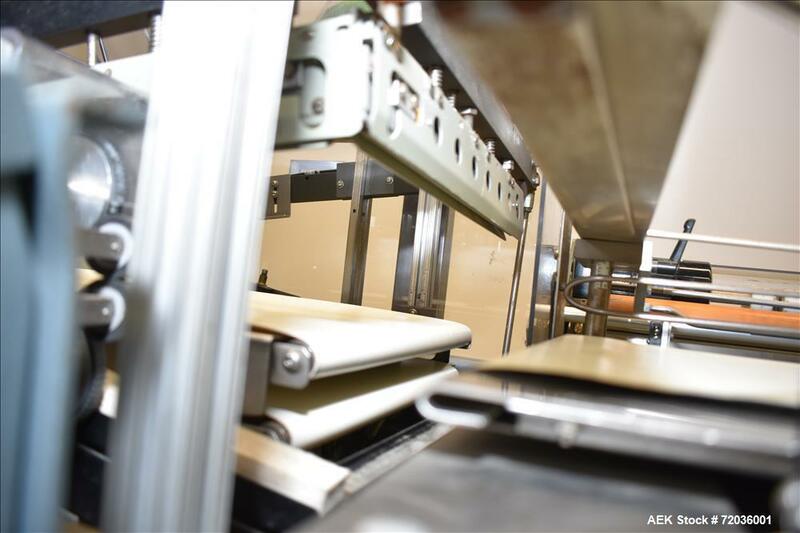 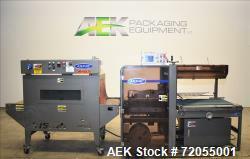 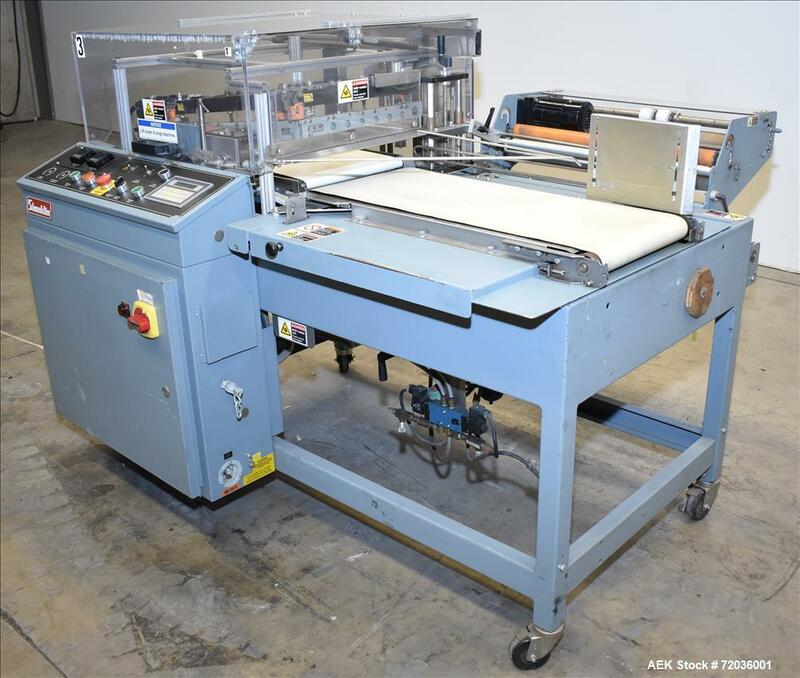 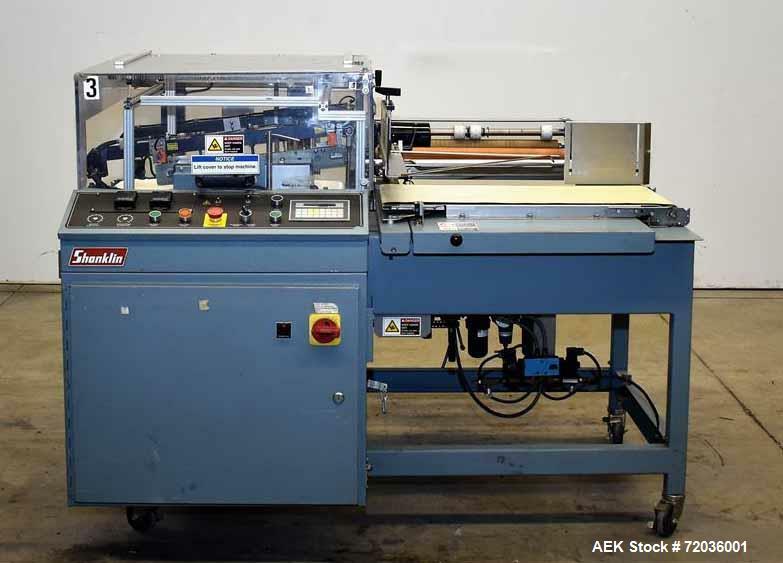 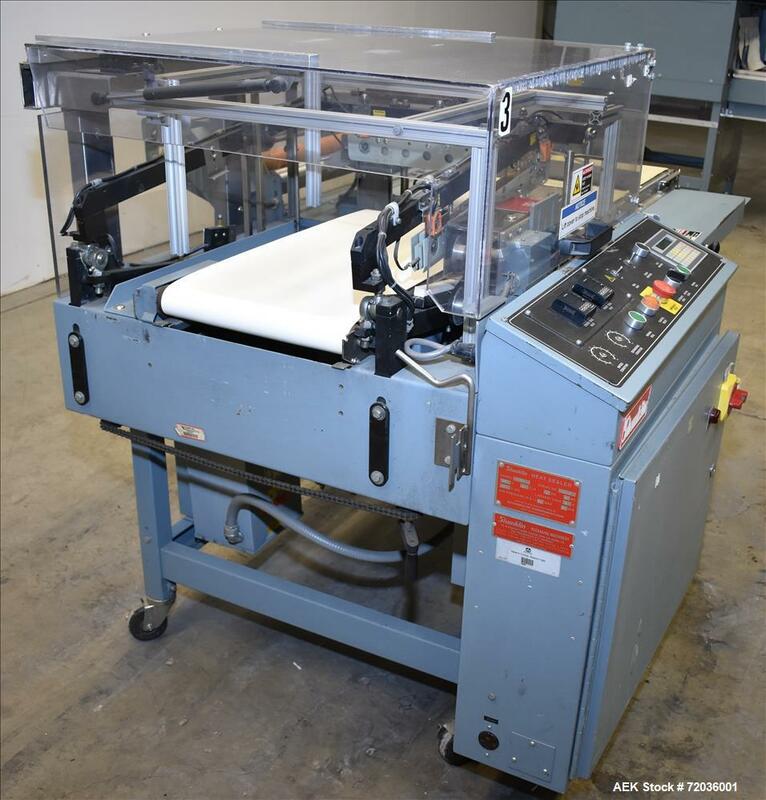 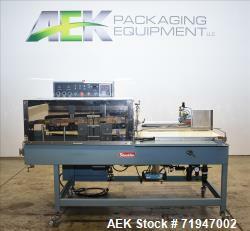 Used- Shanklin Model A27A Automatic L Bar Sealer.